Visit Twistfix on stand B54 at Channel 4’s Grand Designs Live exhibition in Birmingham this October. This is the UK’s only home exhibition to offer six great shows all under one roof and it will take place from the 7th - 9th October 2011 at Birmingham NEC. This is an award winning show where you can come along and get some inspiration for how you can transform your home into the home of your dreams. Our products have frequently featured on various Channel 4 programs over the last year or so. We invite you to come down to the show and come visit us on stand B54. Whether you are interested in interiors, exteriors, roofs or basements there is something for everyone here. 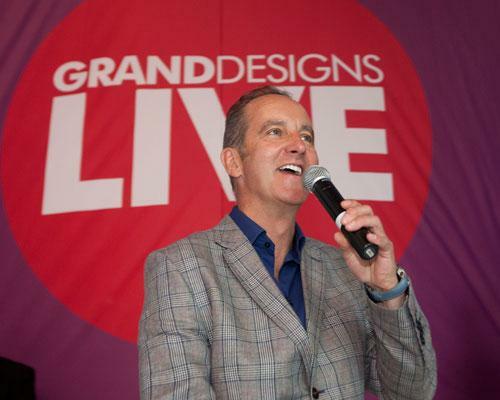 You can buy tickets for the Grand Design show from their website and if you book them now then you can save yourself £4. Our specialist products for construction and refurbishment make renovation and construction quick, easy and cost effective. Twistfix offer top quality supplies and products, low cost prices and the best service within the UK. For more information regarding the show please contact us on 0845 123 6007 or email sales@twistfix.co.uk.